In this week’s roundup of the top travel news stories from around the web, we share articles involving travel with your pets, travel tips from Marie Kondo and more. One of the biggest travel trends that continues to grow and get much attention from travel news outlets is pet travel. It can be very expensive to travel with your pet, but it can also be quite affordable if your pet is classified as a service animal. The other option is to board your pet while you are away, which is also expensive. This trend has gained more popularity as young people without children, as well as empty-nesting Babyboomers have turned to “pet parenting” and take it very seriously. 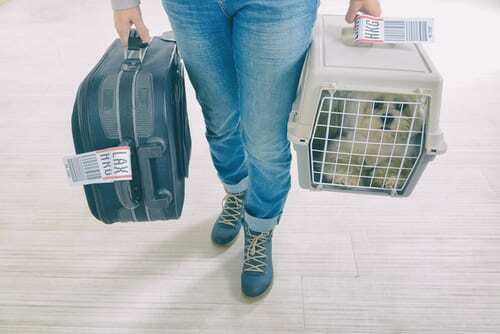 Read up on all of the businesses that are stepping up to meet the demand for boarding and traveling with pets. Keeping in theme with our previous travel news story, this article shares the best hotel brands for dog owners. Not only do people want to bring their pets on airplanes, they want them to stay with them at their hotel. This trend is becoming increasingly more popular and mainstream. In fact, the average number of hotels welcome dogs in each state is 250! Some companies can help you find pet-friendly hotels, including the BringFido app which can show you nearby hotels that allow pets. You may be surprised to hear that luxury brands like the Ritz-Carlton and Four Seasons are becoming more dog-friendly. Business hotels and popular chains like Sheraton, Aloft, and Westin are all starting to allow dogs. Some hotels are even more dog friendly, however, and made the top of the list of best hotel brands for dog owners. One of these is Lowes, with 16 hotels across 12 states that allow dogs. They even allow up to two dogs per room. In addition, they offer pet beds, treats, and pet-specific menu items. In our first travel news story this week, we’re sharing tips for traveling from arguably the most organized woman on the planet. If you’ve been scrolling through Instagram or Netflix in 2019, you’ve heard of Marie Kondo! She is the woman responsible for all those bloggers posting “does this spark joy?” Jump on the bandwagon by following her travel tips, which include obvious tips like her folding techniques for packing. In addition, find out 6 items that Marie think spark joy and should be included in your suitcase, like an “all-occasion” shoe and a portable air purifier. One of the biggest travel news stories in 2018 was the epic travel scam that was the Fyre Fest. Both Hulu and Netflix released documentaries about the events surrounding this horrific joke of a “festival” in the Bahamas. I for one watched both of them. While initial reactions were obvious “how could these people buy into this mess?” But it is not all that crazy that millennials ate up the idea of a celebrity-studded music festival on a private island. After all, Ja Rule was involved! It sounded legitimate, with models like Hailey Baldwin and Kendall Jenner starring in early ads for the festival. One phrase used a lot in both documentaries is”FOMO”, or Fear of Missing Out. Find out how this phenomenon came to be and how to avoid falling for scams like this in the future. Voyager Club is teaming up with MatchesFashion.com to deliver hand-picked styltes straight to your door. This travel news story will immediately ease your anxiety about finding the perfect sundress/bikini/cover up combo for your upcoming trip. When you book the “My Vacation Stylist” service, they pair you with an expert for a consultation. They’ll go over your fave designers, colors, fabrics, and your entire vacation itinerary. Sounds like a dream! Check it out here.